Toyota C-HR Interior, Sat Nav, Dashboard | What Car? 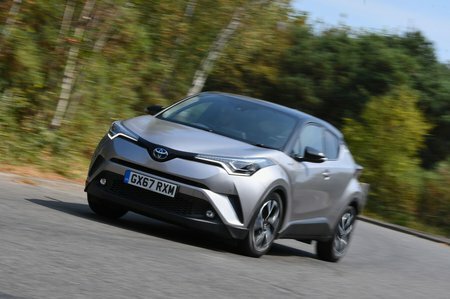 The C-HR might technically be an SUV, but don’t expect to feel like you’re behind the wheel of a Range Rover. Even compared with similar-sized rivals, such as the Nissan Qashqai, you sit quite close to the ground; whether this is a good thing or not really comes down to personal preference. There are certainly no major ergonomic issues. The seat and steering wheel move freely to adjust for different body shapes, and the seat itself is comfortable, although entry-level Icon models miss out on adjustable lumbar support. The ‘layered’ dashboard means the heater controls are easy to see and reach, but we’d prefer dials rather buttons to adjust the temperature. 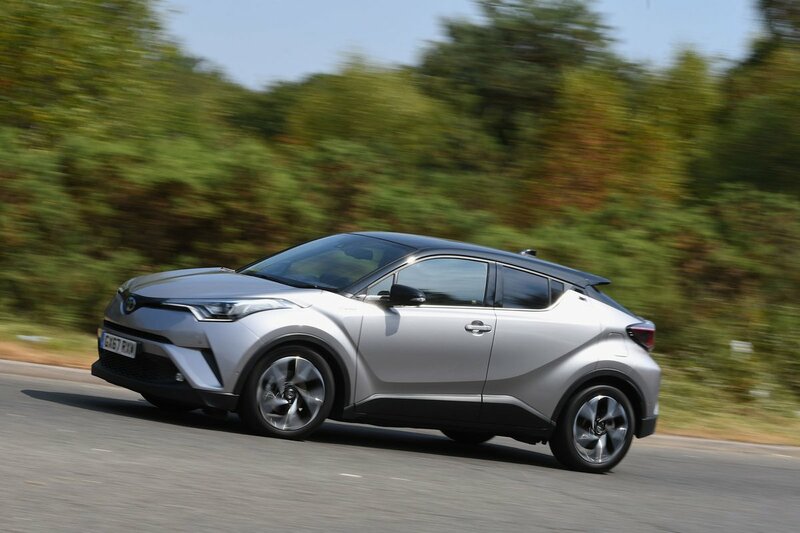 This is one of the C-HR’s weaker areas; you can probably guess why simply by looking at the car’s shape. That heavily styled rear end makes it hard to see what’s behind you when reversing and its small rear side windows don’t exactly help, either. Fortunately, all versions have a reversing camera to help get around this issue, while Design models and above add front and rear parking sensors and even a self-parking system. Parking sensors are an option on entry-level Icon trim. Meanwhile, the view out of the front is generally good, although the front pillars do get in the way a bit when pulling out of junctions. Put simply, the Seat Ateca and Skoda Karoq are altogether easier to see out of. 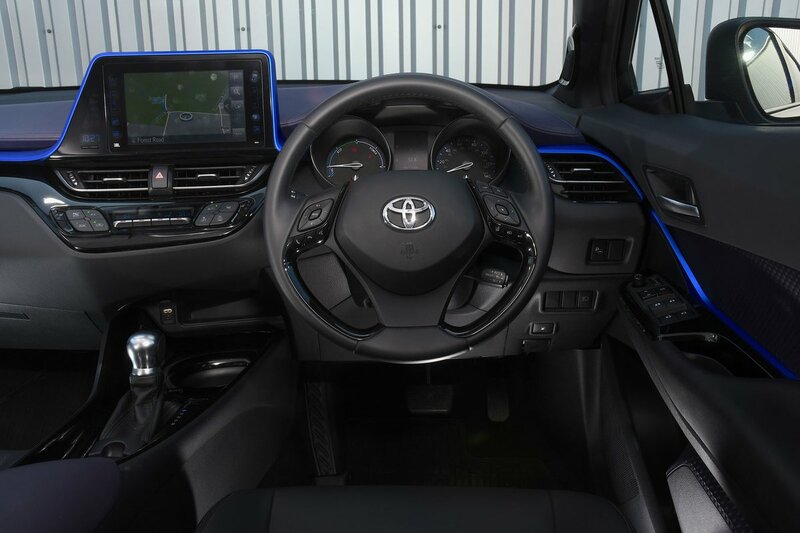 All models come with Toyota’s Touch 2 system, which uses an 8.0in touchscreen to control its Bluetooth phone connectivity and DAB radio. Upgrade to mid-spec Design trim (or above) and you’ll also get an in-built sat-nav that connects to the internet to give, among other things, live traffic updates. The screen is positioned high up on the dashboard, making it easy to glance at while driving. Less impressive is the clunky interface; the menus and screen layout just aren’t very user-friendly. The Skoda Karoq’s touchscreen is much less distracting to use while driving. We’ve yet to try the standard six-speaker stereo, but the optional JBL sound system delivers good sound quality, even when you really crank up the volume. However, it's a real pity there's no Apple CarPlay or Android Auto smartphone mirroring – even on the options list. Toyota isn’t famous for its classy interiors, but the C-HR's isn’t bad at all. It’s not in the same league as the Audi Q2's, admittedly, but most of the plastics around the driver and front passenger are appealingly dense and everything feels more solidly screwed together than it does in the Prius. Things aren’t as smart in the back as they are the front, though; the plastic on the insides of the doors feels a bit low-rent.